Known as the “American Beatles” in Japan, Cheap Trick scored the 25th spot on VH 1’s list of the 100 Greatest Artists of Hard Rock. 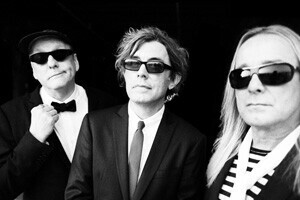 With more than 20 million records sold, and 40 gold and platinum awards, Cheap Trick has recorded hits like “I Want You to Want Me” and “Surrender” that never tire out with fans. Their newest album, The Latest, continues their 35-year legacy of fantastic reviews and fan admiration. 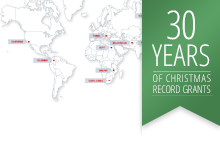 "One of my favorite Christmas traditions is to get out there and decorate the outside of our house with my kids. We also love decorating the tree inside and spending time together."